When the weather starts turning a little colder and the days get a little longer, most of us start looking forward to the best part of winter: the various holidays that bring family and friends together. Naturally, from there, most Bellevue homeowners start dreaming of the fanciful lights strung up on homes around their neighborhoods. From classic Christmas light displays to tasteful indoor light arrangements to celebrate Hanukkah, Clear N' Bright Windows is prepared to create and install a wide variety of holiday light displays for any celebration and any faith. To truly make your Bellevue home the envy of all on your city block, you want an ambitious and dazzling display of beautiful holiday lights. Which is easier said than done. If you’re going for the traditional Christmas light display on the front of your house, don’t step up on a ladder unless you absolutely need to. Clear N' Bright Windows can design a breathtaking array of lights and safely put them up for a small fee. There are few things more stressful than having to spend the holiday season recovering from a broken leg; if you aren’t a trained professional with experience hanging lights from great heights, you place your health and safety at risk every time you step up on a ladder! Clear N' Bright Windows isn’t just a window-washing and gutter cleaning company. However, because we spend our workdays safely scaling Bellevue and Seattle homes and businesses of all sizes, we have the equipment and training necessary to safely install beautiful holiday lighting that’ll impress your friends and have your neighbors looking green as mistletoe. While most Bellevue residents think of outdoor holiday lights display as a Christmas tradition, if you don’t celebrate Christmas there’s no reason you can’t join in on the fun! Clear N' Bright Windows loves a challenge, and why not show your pride in your family traditions with holiday lighting for any of your favorite celebrations? 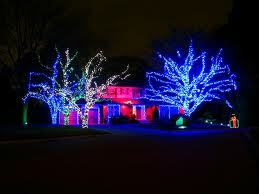 We want to help you come up with creative and novel holiday lights display for any event. From our family to yours, we want to help you create a holiday light display you can be proud of. While it’s no longer true that a single shorted bulb will ruin your entire string of Christmas lights, keeping the lights on in case they break or short can be a struggle. Luckily, Clear N' Bright Windows is happy to help maintain and repair any of our light displays should something go wrong. For the very best in local outdoor Christmas lights and holiday lights near you, why not give Clear N' Bright Windows a call to hear all about our reasonable fees and professional service? We’re happy to provide you with a free quote over the phone. Call us today! 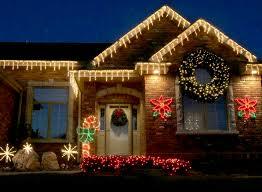 Call The Johnston's Family Team at Clear N' Bright Windows for all your Holiday Lighting needs.